The Palm Coast Arts Foundation supports creativity and innovation within its Palm Coast and Flager community. With a goal of designing, building, and supporting a Palm Coast Center for the Arts, the foundation is currently “raising the roof” with its campaign to raise enough money to build the outdoor Arts and Culture Pavilion. The Palm Coast Arts Foundation was established in 2004 with its mission to support and encourage excellence and vitality of the Arts. Along with encouraging this excellence, the foundation also strives to provide a variety of opportunities to participate in any aspect of the Arts, as well as to educate and assist artists professionally and bring amazing artists and groups to the community. Since their start in 2004, the foundation attained a 501(C) 3 status, and has hosted many events. It has also has grown to have a Board of Trustees, with our very own Sam Perkovich serving as president! 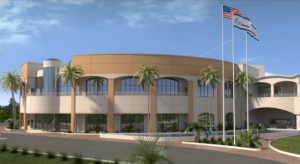 The Arts foundation has prepared for the construction of the Named Arts and Culture Pavilion in Palm Coast’s Town Center. The pavilion will feature a stylish roof that is acoustically designed to cover the stage area and provide protection for performers. The total cost of the pavilion is $300,000 and will support the Arts community at large. As Sam Perkovich, Broker and Owner of ParkSide Realty, is the President of the Palm Coast Arts Foundation, she is aware of the events and happenings within this community. Please use ParkSide Realty’s blog and website to learn about and get involved within this community. For those looking to join this community and purchase a home within the area, contact a member of the ParkSide Realty Team today! As local members of the community, we can provide you with the information you want to know in order to make the best home buying decisions. Take advantage of our free relocation packages, interactive area map, buyer FAQs, mortgage calculator and more to help you through the process.